On the way to the border I opened my book and read the last few pages on Timor Leste’s recent history. It would be the first new country to me since Myanmar and I knew absolutely nothing about the place. If you’re as clueless as I was, here’s a super quick summary: The Portuguese arrived in the 16th century in search sandalwood. The border down the middle of the island was finalised 100 years ago between the Portuguese and the Dutch (who had colonised much of the rest of the archipelago). East Timor was always a far-off backwater in the Portuguese empire. In comparison with Dutch presence in the archipelago (this is long before ‘Indonesia’ was a concept) they largely left the place alone. When the demand for sandalwood dried up they introduced coffee as a cash crop but that was never particularly lucrative. In the 20th Century the last of the European colonies began to loosen their grip. 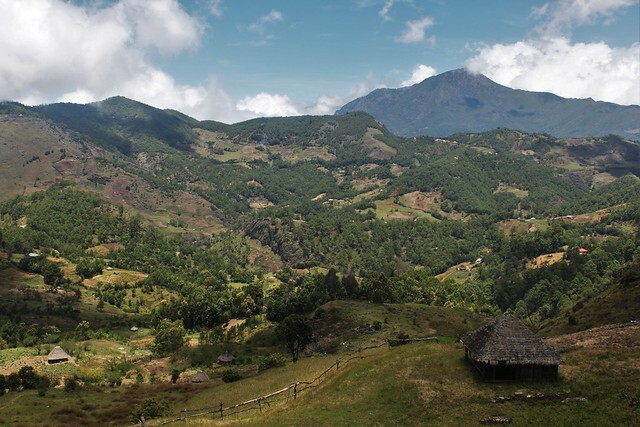 Indonesia gained independence from the Dutch after WWII but the East Timorese only declared independence in 1975. 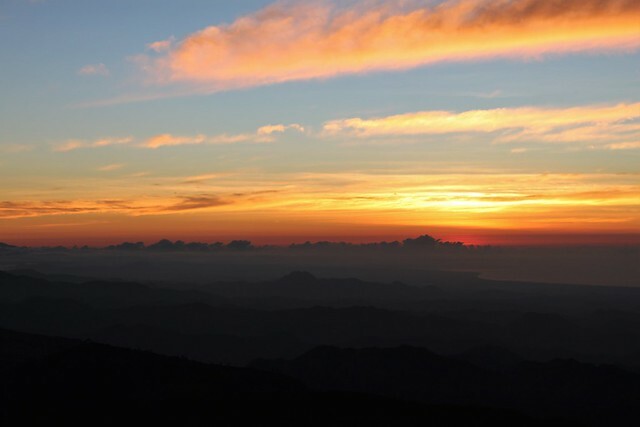 Indonesia now had a firm grip on the rest of the archipelago (excluding Papua New Guinea) and decided to add the eastern half of Timor island to their nation. 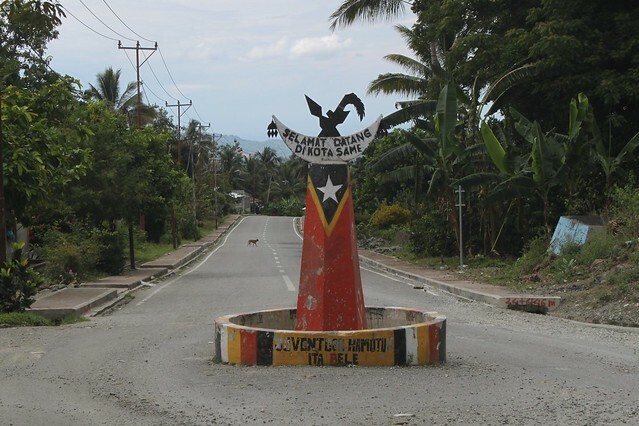 9 days after Timor-became independent they marched in and took control. 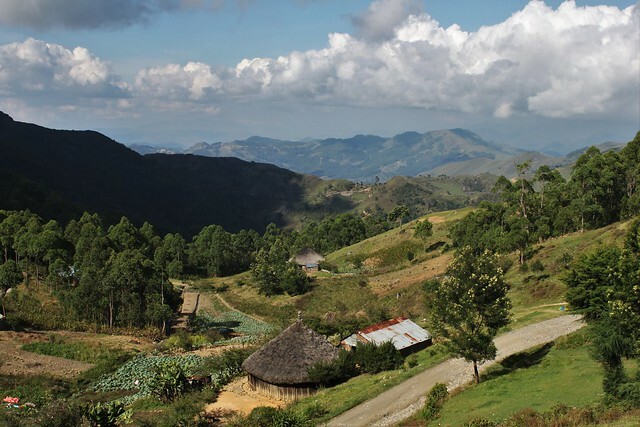 After years of struggle the East Timorese where finally given the chance to vote for independence in a 1999 UN-sponsored referendum. They voted overwhelmingly in favour of an independence. 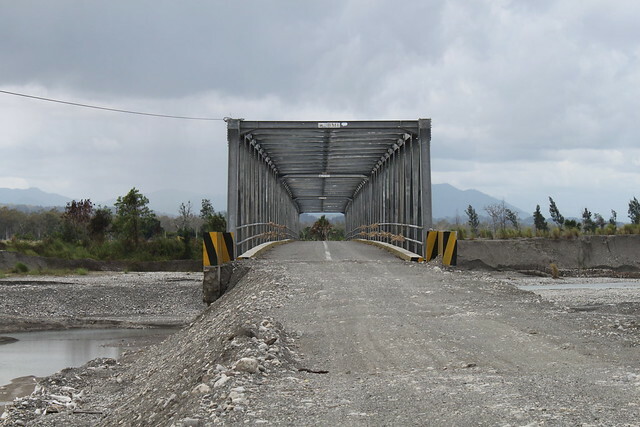 This is where the madness starts: Indonesian backed militia groups went on a rampage before finally departing, leaving the countries infrastructure crippled and over a thousand dead before UN forces stepped in. 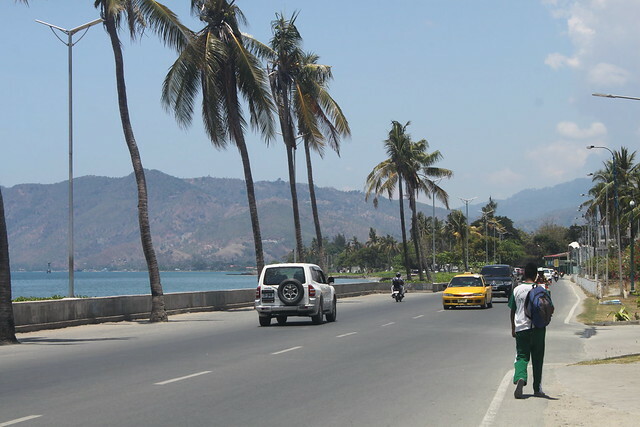 Over the years there have been the occasional riots in Dili that flash up on international news (most notably in 2006) but my guidebook described the country as a perfectly safe one to travel in. My mum seems to think otherwise. I stamped into the country with my Danish passport. Danes get 90 days visa free but Brits have to get some paperwork sorted in advance and pay for a visa on arrival. 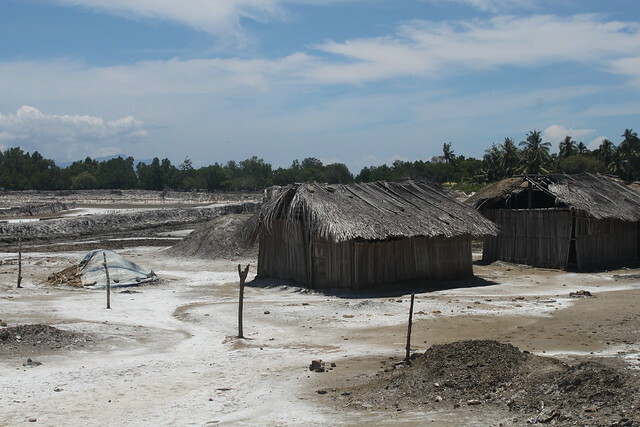 Visa-free entry meant I didn’t need to stick around in Kupang a few days. Things changed immediately. The houses along the coast looked different. Everything was so dry. The ground a lifeless dusty red. The villages looked like ones I imagine in Africa. There was less money here, clearly. 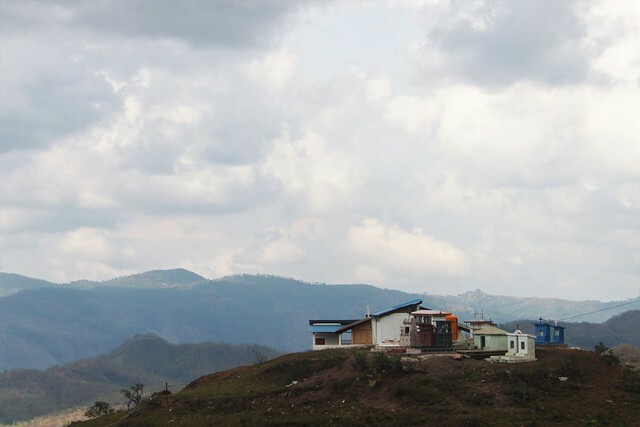 Very few of the homes were made from brick and the road from the border was a crumbly affair. 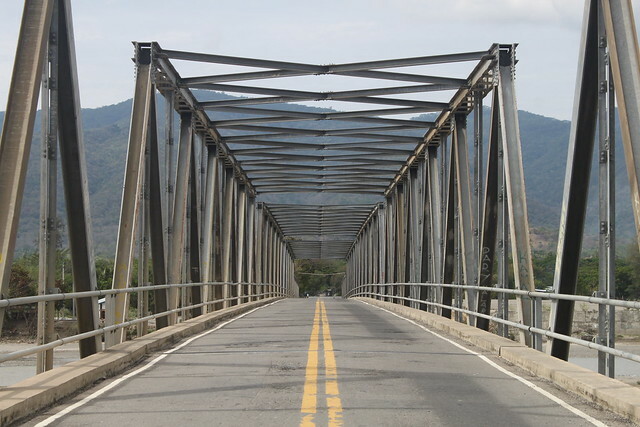 I reached the town Liquicia after a long 100km day and stayed with David, an Mexican-American Peace Corps volunteer who’d been living there a year. 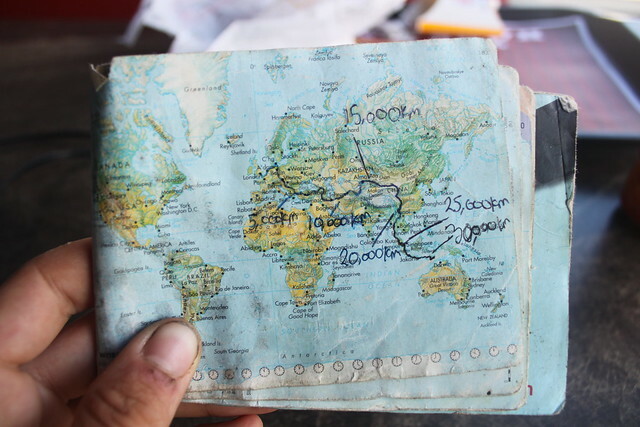 We got a water bottle filled up by an old lady with a barrel of tua (their local palm spirit) to celebrate the two milestones I’d hit that day: 35 countries and 30,000km since London. We walked over to the market in the morning. It was very different to the ones in Indonesia. The best difference? Bread was back! Not since Vietnam have I been in a country with fresh bread. I even saw red wine for sale in the shop yesterday. Long live the Portuguese! Considering how small the country is, they have an impressive collection of languages here. 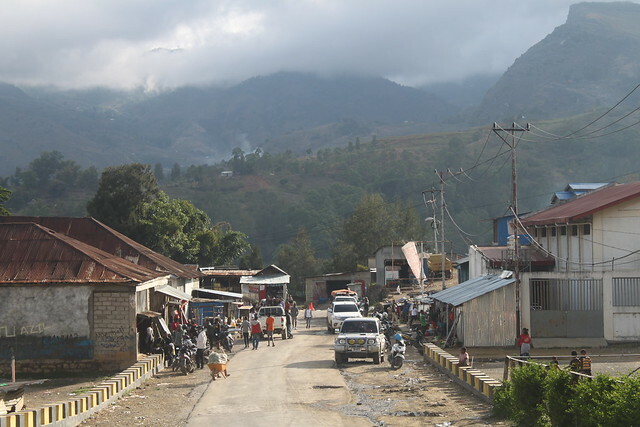 Tetum is the lingua franca (like Bahasa is in Indonesia), but they have a huge number of different languages within just over a million people. I had a funny encounter in the first shop I popped into not knowing what language to speak. We got by with some English, Indonesian, Portuguese and some Tetum that I didn’t understand. They use US dollars, but count the numbers in Indonesian. They’ll refer to 25 cents as Portuguese quatre and you’ll exchange thanks with obrigado and de nada. 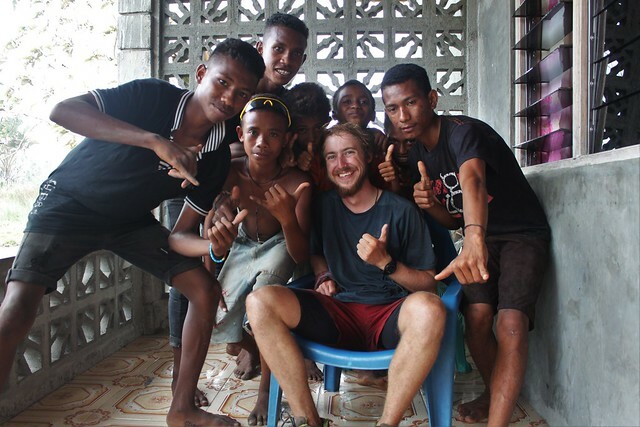 I stopped for three nights in Dili and stayed with Josh, one of the president’s advisers. 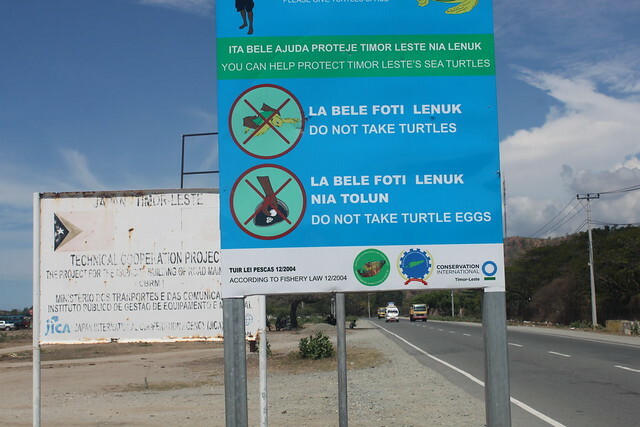 I’d quickly learnt the Tetum word for foreigner ‘malae’ after having it yelled at me non-stop my first day cycling here but in Dili the attention stopped. Amusingly, the word malae comes from Malay. I assume the Malaysians were the first notable visitors here and then the world just stuck for all foreigners. ‘Bule’ (the Indonesians’ affectionate word for us foreigners) means albino, so I’ve gone from being an albino to Malaysian. 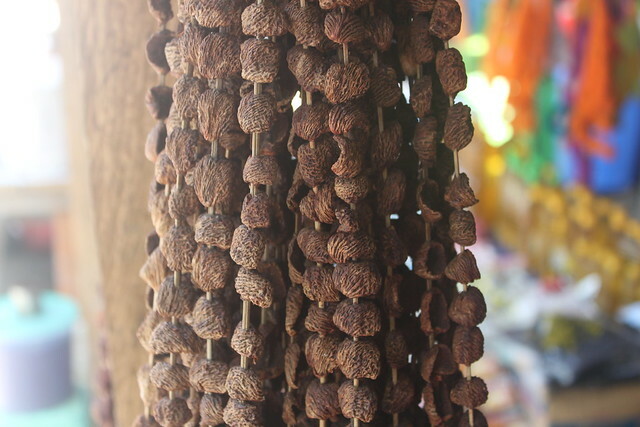 Fortunately there were loads of other malae in Dili and nobody batted an eyelid at me. It’s the first place I’ve been able to walk around without drowning in ‘hello mister’ since Bali! I headed over to the harbour to inquire about boats going to Australia and spent the rest of the day chasing up leads between freighter companies. The answer was as expected: no passengers, not possible. I actually have a flight booked for the 19th to Darwin anyway. I was just curious and if the opportunity had arisen I’d probably have ditched my plane ticket. It was always the dream to reach Australia without flying but now it doesn’t matter so much to me. 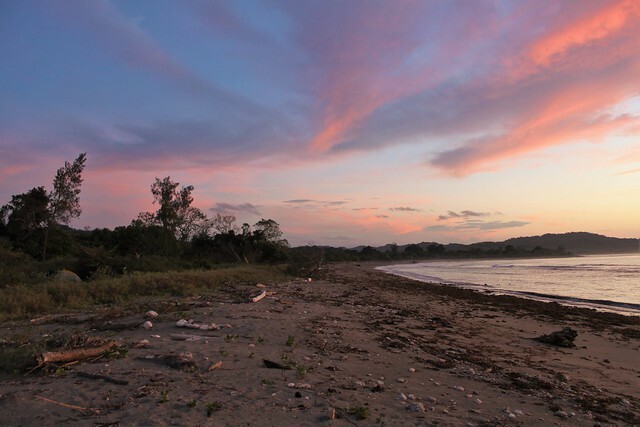 If I’d reached Dili 2-3 months earlier (as I’d originally panned) then I’d have had a chance of finding a yacht but now the season is all wrong. Big winds are pushing up from the south east and even if I found a sailing boat I’m not sure I’d want to face the elements across that stretch at this time of year. 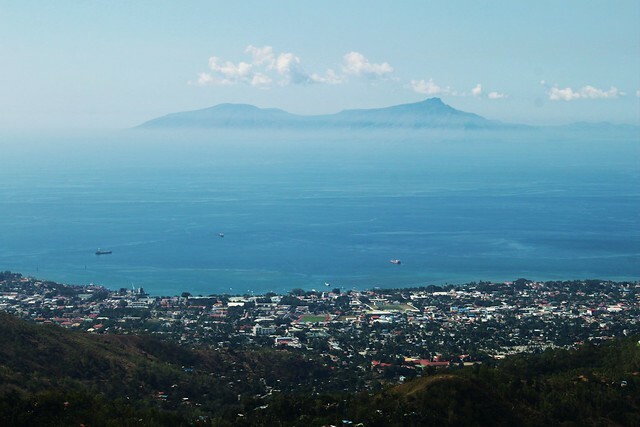 Dili looks quite fancy from the right angles! 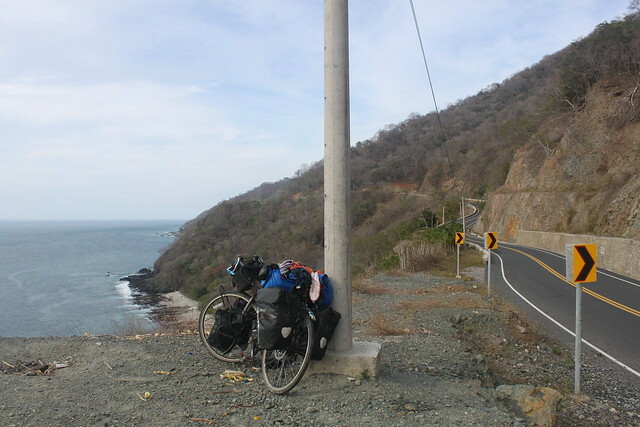 With a couple of weeks to cycle around the country I hit the road, riding up the mountains towards the South coast. On the way up I passed a group of foreigners. They were also American Peace Corps volunteers and had just finished their induction to the country. Whenever I meet a young American somewhere random in the world there’s a good chance they are with Peace Corps. I’ve met their volunteers around the world from Kyrgyzstan to Thailand. 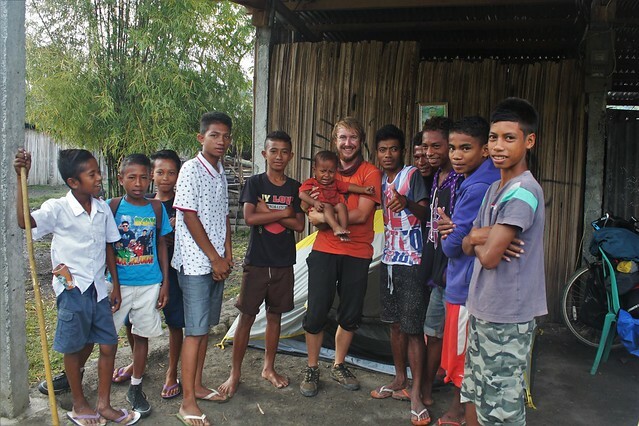 These guys in Timor-Leste were about to be placed somewhere remote for the next two years. It’s a pretty crazy commitment. I stopped for lunch in Aileu. It was the usual East Timorese grub: point at a piece of meat (wondering how long it’s been sitting there) and it gets delivered with rice, some cooked veggies and a broth soup. This soup was a stew with carrots and potatoes in it. That’s Portuguese influence, surely. The food is pretty uninspiring in this country. In Indonesia I could eat something delicious for 50p-£1 but in East Timor it’s something bland for £1-2. 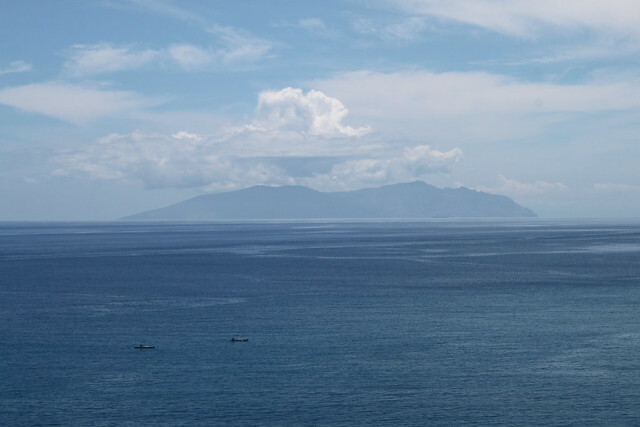 The road was a real workout but there were stunning views back across Dili and over to Atauro Island. 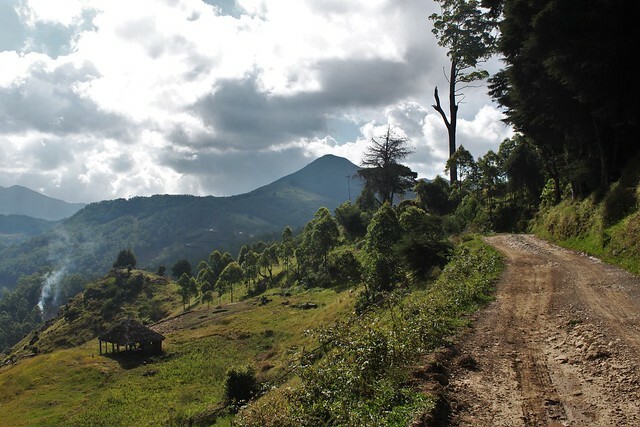 The first day I climbed through eucalyptus forests and pineapple plants but once over the crest of the first mountains at 1,000m above sea level I was back in among the coffee trees. The next day I passed the town Maubisse. 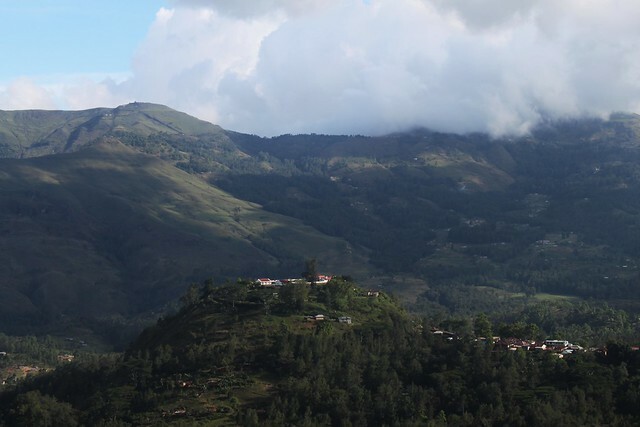 A wide valley had suddenly opened up between the mountains creating an incredibly scenic backdrop to the little town. On a hill the very center was fancy old Portuguese building standing proud. It’s now a hotel. I’m not surprised to have kids asking for money here. This country has had so much foreign aid over the last 15 years and the kids are used to see foreigners knocking around. (This is a very different story to Flores, where it was a shock). For that reason it’s not surprising that they associate white visitors with cash – that has happened in many countries around the world. Perhaps old UN staff did just hand money out in villages. Who knows. That might have been a good thing to do when there was literally no money here. Things are very different now. Better now. But people are still poor. 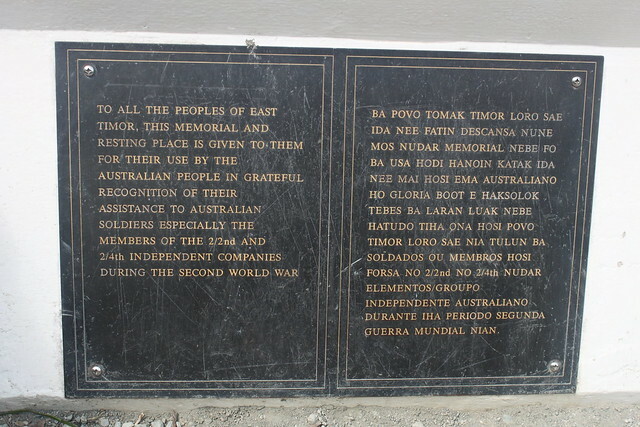 There are war memorials all over this country – for fallen Timorese, Portugese and Australian. 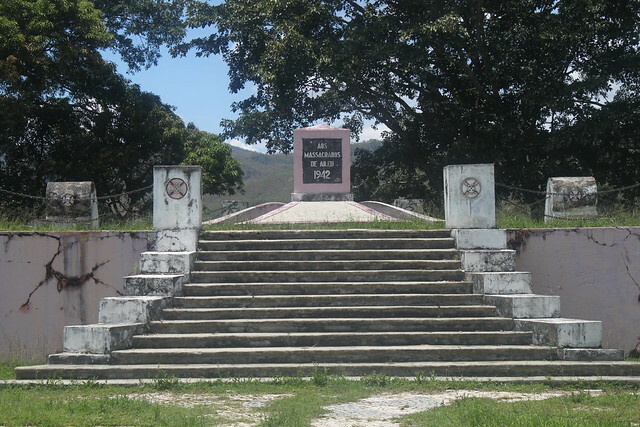 This neglected memorial in Aileu is for the massacre of Portuguese citizens by the invading Japanese in 1942. After a second night in the tent I woke up feeling awful. I’d had cramps in the night and my stomach was all over the place. Not again. Was it yesterday’s chicken and rice lunch? Did I not boil that water properly before dinner? Who knows. 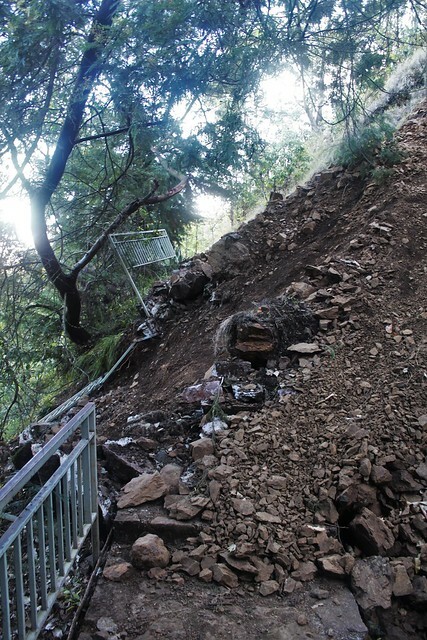 It didn’t make the mountain climb easy. More kids asked me for money the next morning. They always appear when I’m really not in the mood. If I’m visibly struggling up a mountain with food poisoning I am not good company, especially if you just want to ask me for dollars. There are two ‘sights’ I wanted to see in this country. 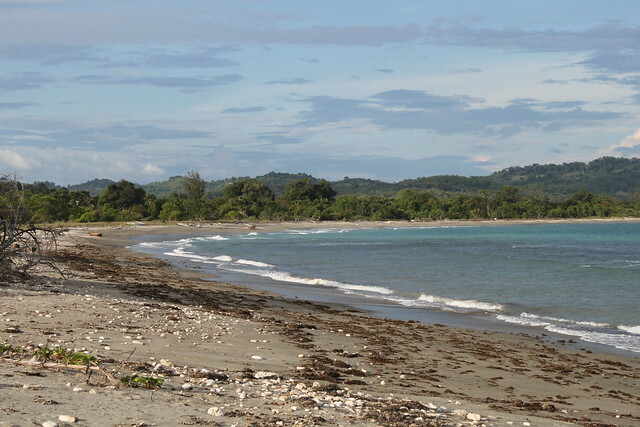 The second is Tutuala beach – but I’ll be there in the next blog. 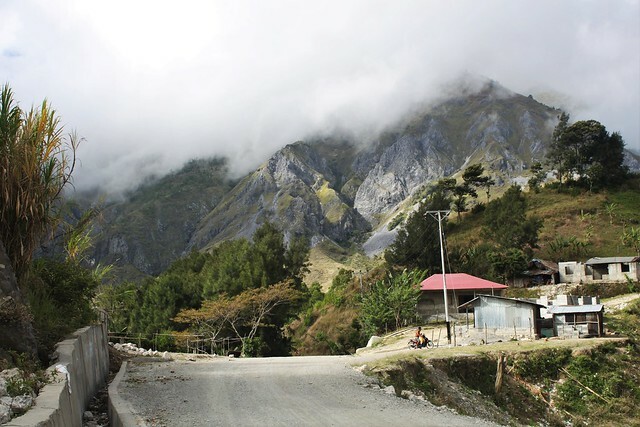 The first is Mount Ramelau, the island’s’ tallest peak. 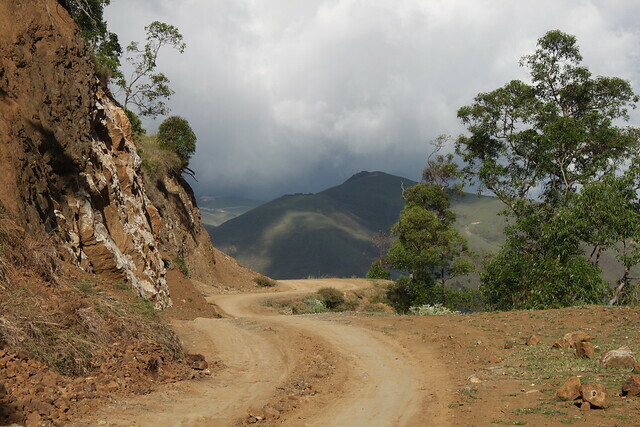 Near the highest point of the road between coasts I turned west for the last 18km to the mountain. On the way up I met an English/South African guy on a motorbike on his way to the UK. The kids coming out of school spotted us chatting and within minutes there were dozens of local kids standing in a circle around us. Not saying anything – just staring in silence as if it was the most riveting TV show in the world. I know that I’m on a funny-looking bicycle and he’s on a funny-looking motorbike but it’s still weird behaviour. 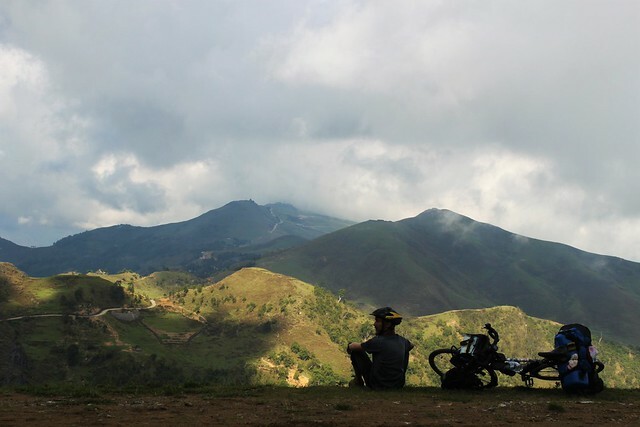 It was simply stunning up there – the scenery was quite unlike anything I’ve seen in South East Asia and easily the best mountain riding since China. But the road was atrocious. It took me 3 hours to cover the last 18km to Huto-Bullico, the last village before the summit hike. I was feeling better now. Well enough for the last push. 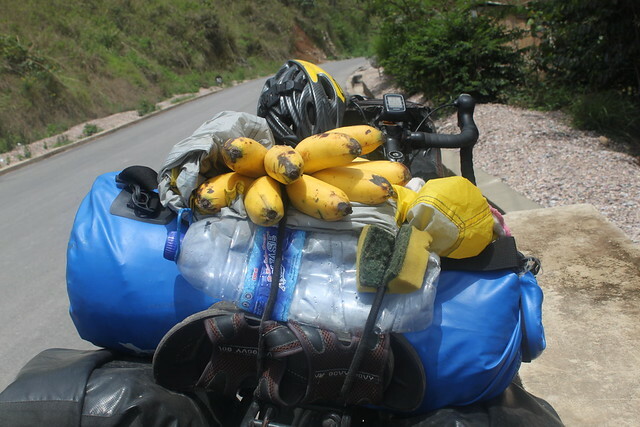 I left my bike in the village, packed a day bag and trekked up to the top. I made it just before dark. Shattered. 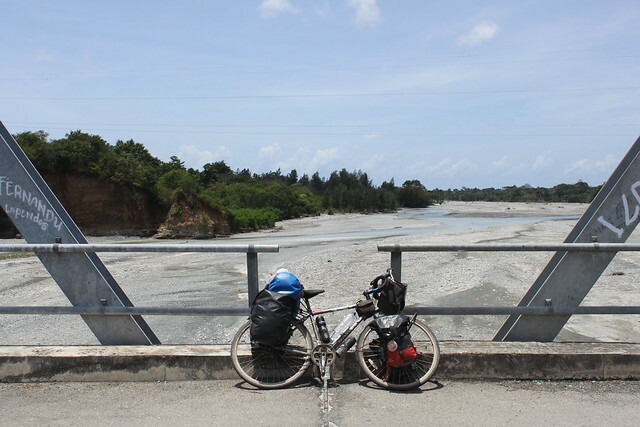 Three days to cover 100km from sea level to 2,986m. 12 hours cycling and 3 walking. The summit was way up above the clouds. From the top you could see across to both the North and South coast. 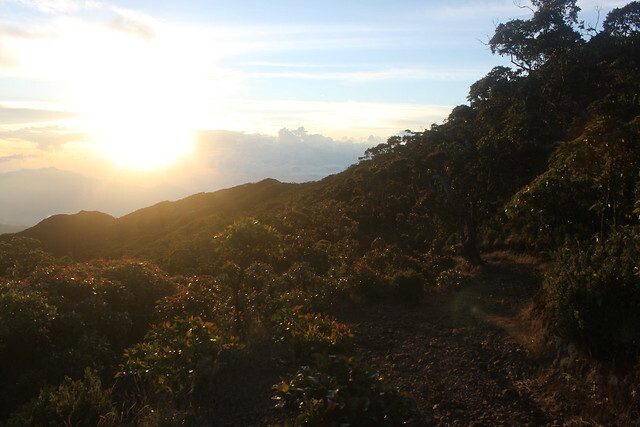 There was something especially rewarding about having climbed up from sea level with my own legs. 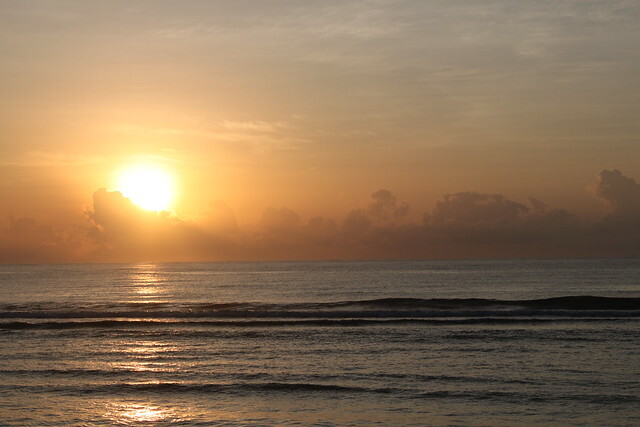 Sunrise. You can see the South coast to the right. And the best part? There was nobody else up there. 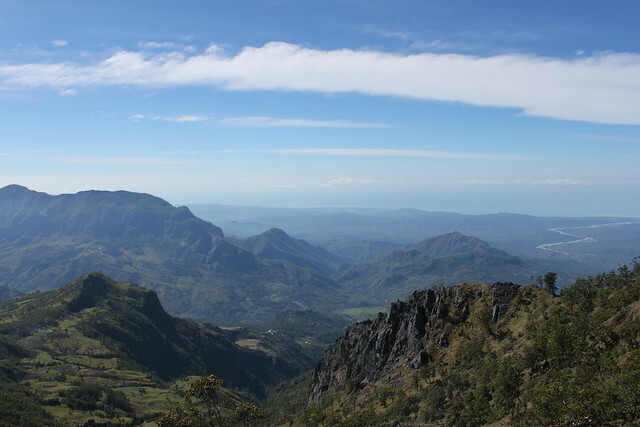 In most countries a peak like this would always have someone up at the top but not in tourist-less Timor-Leste. I felt quite literally on top of the world, all alone. 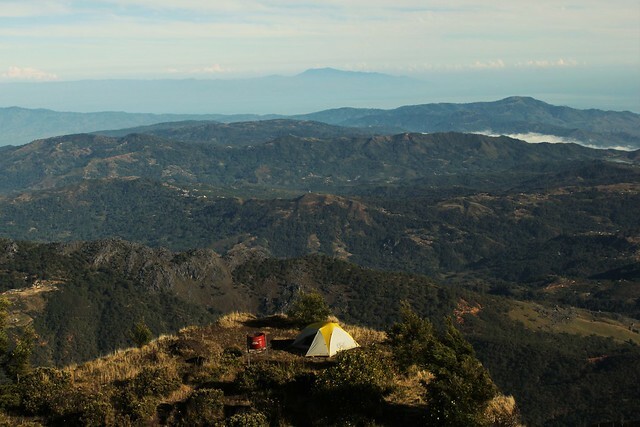 The nearest peak over 3,000m is on Sulawesi Island a good 1,000km away. 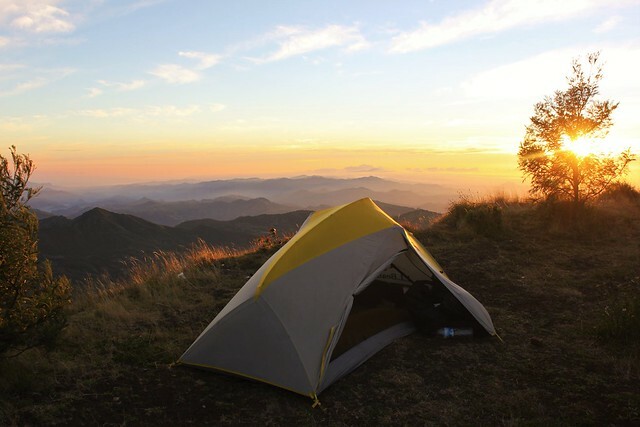 I put my tent up on a ledge just below the summit. It was freezing in the night. The coldest sleep since leaving the greater-Tibetan region in China. Close to zero up there and awfully windy. I was genuinely worried I’d blow off the edge of the mountain. 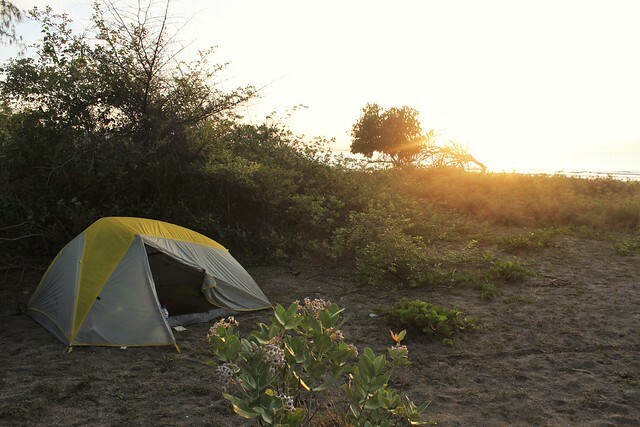 I woke up with first light, zipped open my tent and watched the sun rise up over the world. It was magic. Although it was far from the highest mountain I’ve climbed on this trip it was the first proper ‘summit’ I’ve ever conquered and an incredible experience. 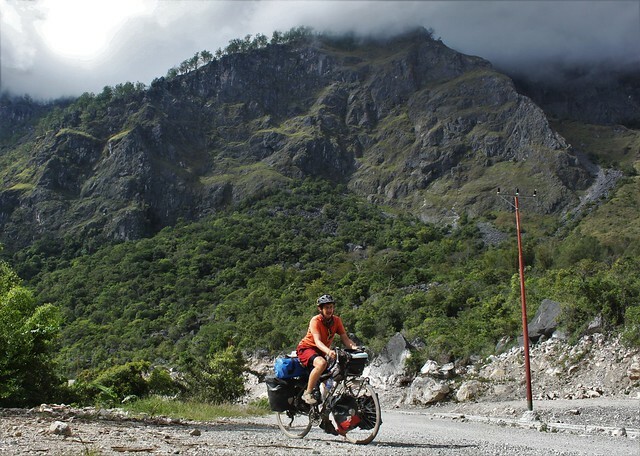 I loaded up my bike and continued South, dipping over the mountain pass a few kilometers down the road. The scenery changed again. 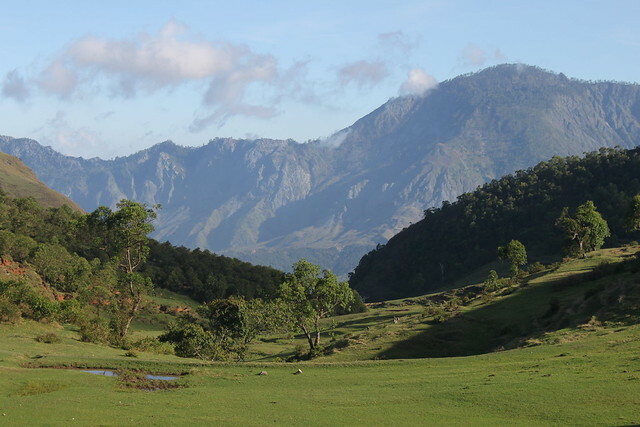 Grassy plains blanketed the hills and steep cliffs lined the valley edges. It was stunning riding and I was a very happy cyclist. Am I really still in South East Asia? 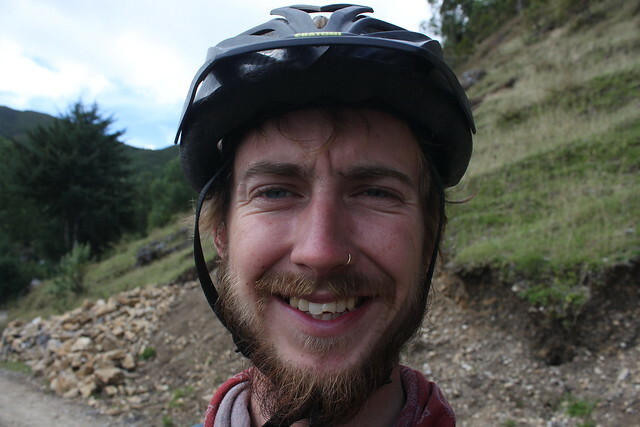 I was a very happy cyclist until half my front tooth fell off. I was drinking through my water filter when I suddenly felt something solid in my mouth. Then I felt a gap between my teeth. I had that filling put in 10 years ago after I ran into a football post. The dentist said he’d give me a temporary filling as I was still growing. He reckoned it would last a year or two but it never fell out. 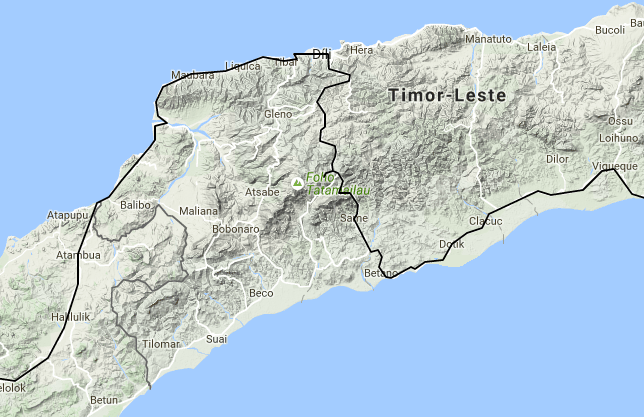 I knew it would eventually snap off somewhere inconvenient and I was right – Timor-Leste of all places. Brilliant. 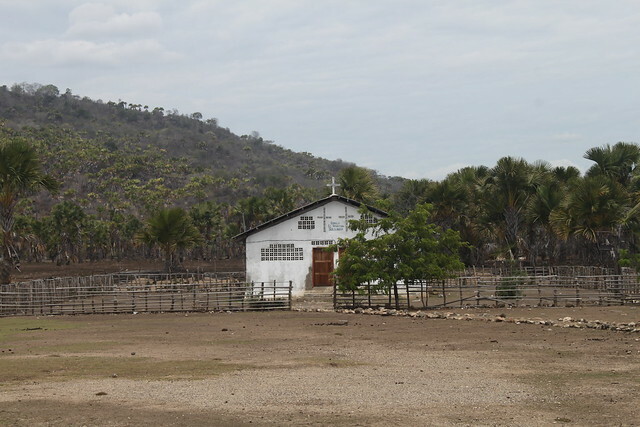 The villages would erupt when I cycled past, inching my way down the useless dirt roads. There was nowhere to camp but I didn’t fancy the inevitable attention if I pitched in a village. 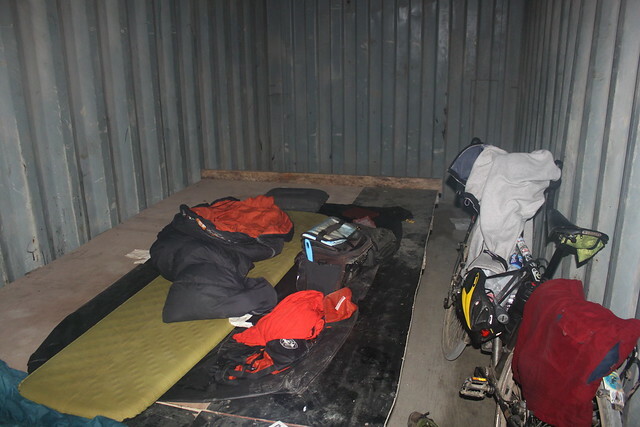 Instead I asked some road workers if I could camp by their building and they offered me a container to sleep in for the night. First time for everything! They were great. Invited me for coffee and to join for dinner. It was still cold up there and I was happy to be in my fleece again. There was no electricity but we sat around a fire waiting for the rice to boil for dinner while they played me Timor-Leste music from their phones. Arriving in Same and back on the tarmac! It was a bumpy ride but eventually I hit the South coast and turned east. I found an empty stretch of beach to put my tent up by. In just a few days riding I’d seen so much varying scenery in this country. 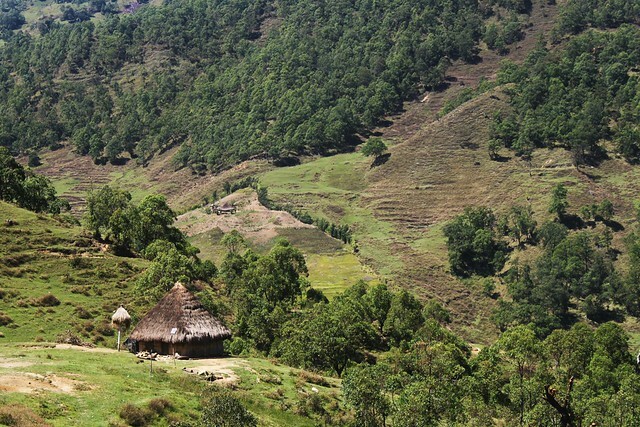 From the dry North coast, the jungled mountains, high-altitude grasslands to beautiful beaches. 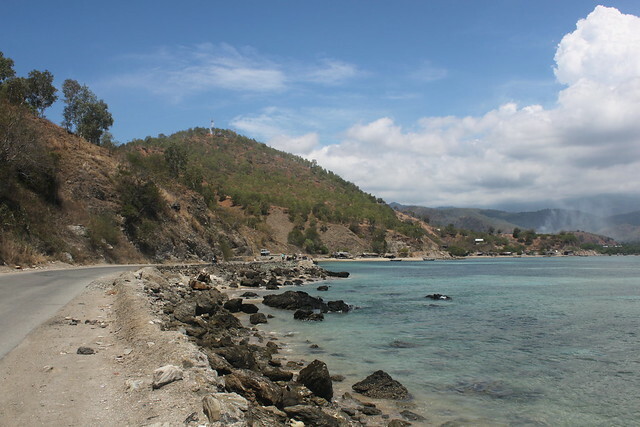 West Timor had been impressively boring in comparison. The heat hit me like a wall after a couple of cooler days. 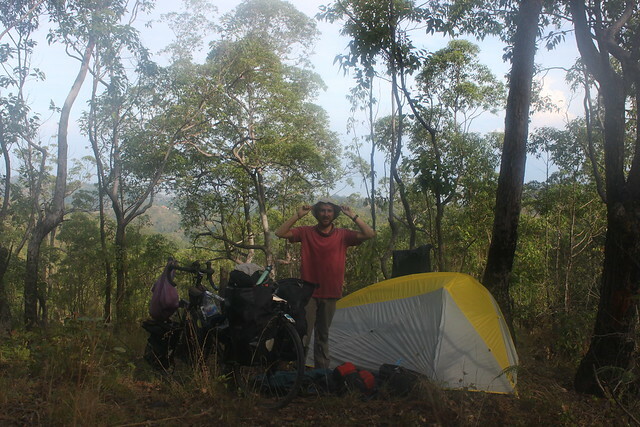 I’d just been thinking about how mosquito free Timor-Leste was but then I woke up dripping in sweat discovering that a couple of mozzies had slipped into my tent and had a feast on my feet. They were itchy for days. The road just got worse and worse. Narrow, lumpy and wet. Rainy season doesn’t start until next month but there had been a few down pourings. 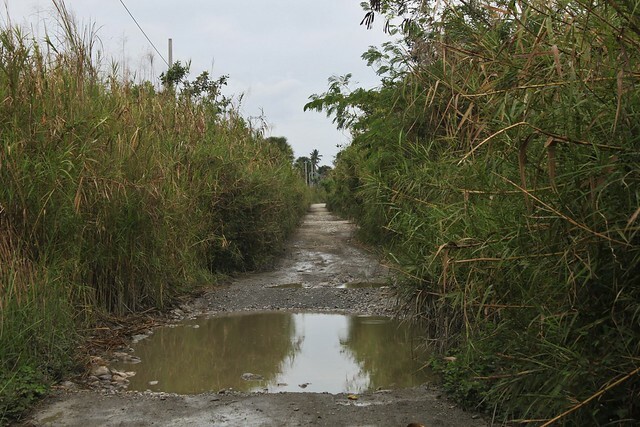 Not a good sign – this road becomes impassable in rainy season and there are a few river crossings coming up. 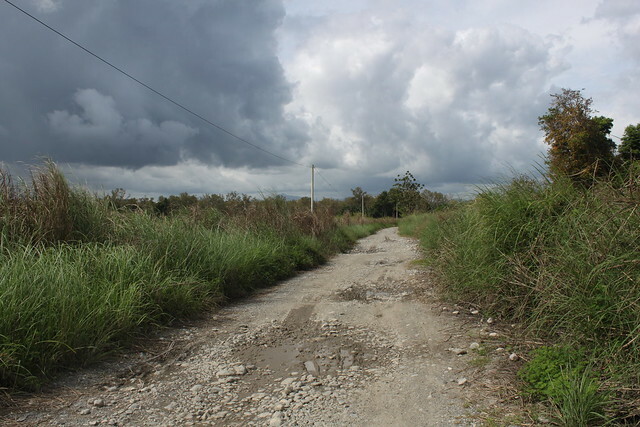 The scenery was less inspiring here with reeds hugging close to the road blocking any views. 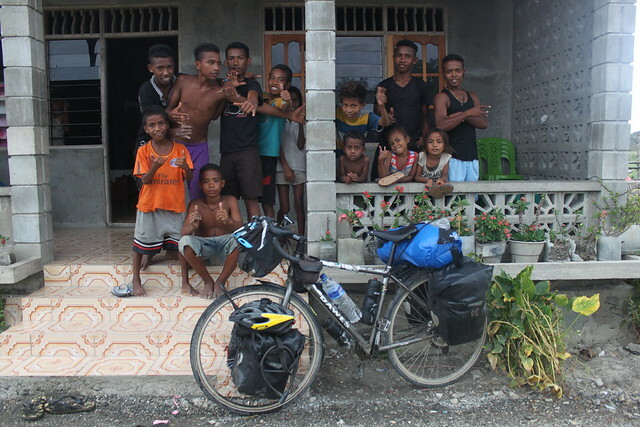 It was far from boring riding though – the villages were further apart but when I did pass one the kids would go crazy. I swear 90% of this country’s population is under 15. Every family has so many children and as soon as one shouts ‘malae!’ millions coming running out the houses. Occasionally I’d have to stop to get water from one of the wells and then I’d have a gaggle around me watching my every move. 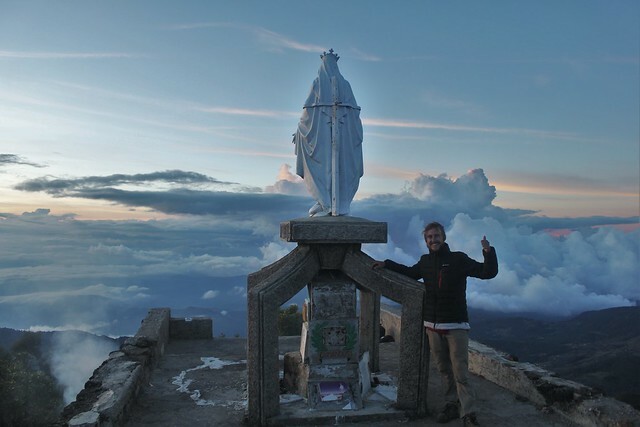 In the afternoon I met Noel – an English speaking guy the same age as me living in a small village before Viqueque. He’d been studying at a language school in Bacau and was a pretty confident speaker. I took the opportunity to ask if I could camp by his house. We chatted into the evening while the rest of the kids sat and watched me. A guy down the road was selling palm wine so we bought a bottle for me to try. It was far more palatable than that spirit I’d had in Liquiqia and much weaker. I quite liked it. Noel told me that he’d stopped studying because he’d run out of money for the course. He’d come back home to try and raise some cash before returning to Bacau. I can’t imagine that’s easy here – there’s not exactly any jobs around. It was painful to hear. Usually when I think of my studies I just wince at the debt I’m in rather than appreciate how lucky I’ve been to grow up somewhere where I’ve been able to pursue my academic interests. If I couldn’t have any government loans/support to go to university I don’t think I’d have been that bothered not going. But here is someone who really wants to study further and can’t afford it. Someone intelligent, passionate and driven. That really saddens me. I feel like I’ve finally lifted off the rose-tinted glasses I’ve been wearing the first year and a half of my trip. I’ve chosen to lead a simple life. 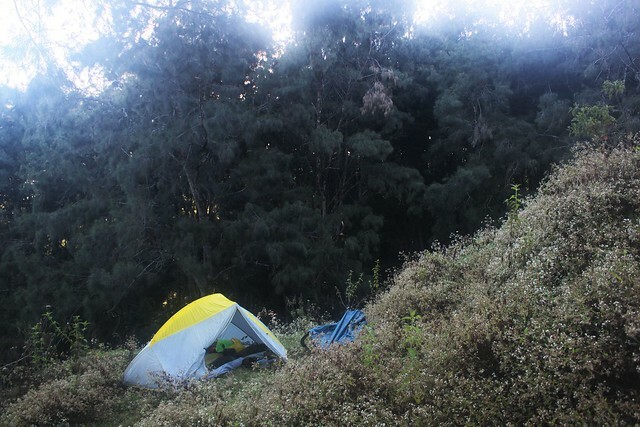 I’ve chosen to spend my nights hiding in a tent, eating simple food and living as cheap as I can. Others haven’t. Before I used to see poor villages where people would smile at me and I’d think ‘wow – aren’t the people lucky to live somewhere so beautiful’ or ‘here the ground is so fertile – aren’t they lucky to be able to live off the fat of the land’ or ‘these people are lucky to have such a close knit community around them’. Ignoring the fact that many of these people are living in completely substandard conditions. The world is not fair. 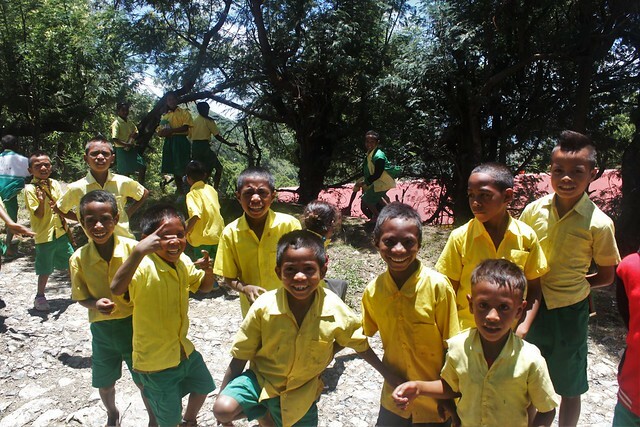 The kids asking for money on Flores and Timor islands reminded me of it, but they’re not the reason the point has hit home recently. It’s people like Noel who have dreams and aspirations that seem un-achievable because of where they are from. I was woken up at the crack of dawn by someone continually whistling from the road. It was the bread man doing his rounds. 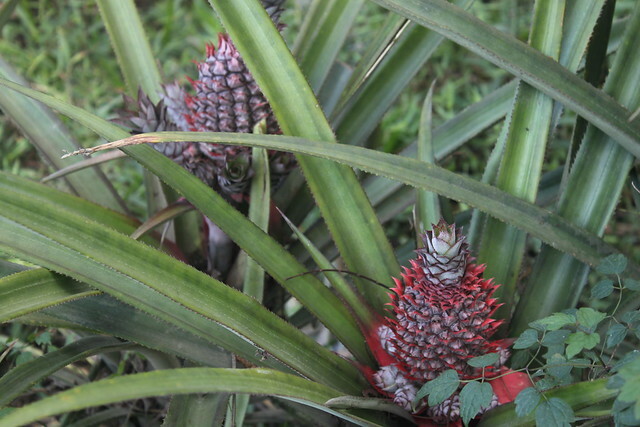 I love breakfast here – a big jug of coffee with fresh bread, donuts or fried bananas. Finally a break from the rice! 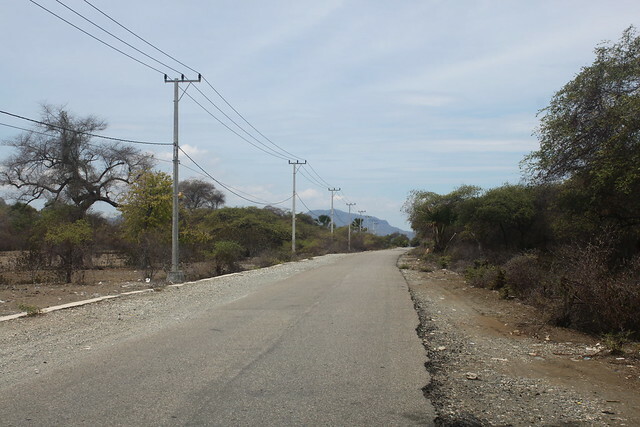 It was just a short ride to Viqueque – the next town where I could restock before more slow days on this useless road. 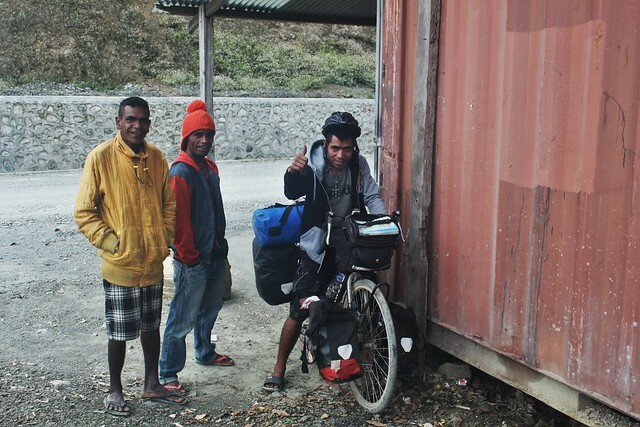 I’d really enjoyed my first week cycling Timor Leste and I was excited for the next half! i wish you would stop distracting me from work JKB ! !